So, now I am the proud owner of a butter bell of my very own. Which is good, because we Kuebers never met a dairy product we didn’t like. 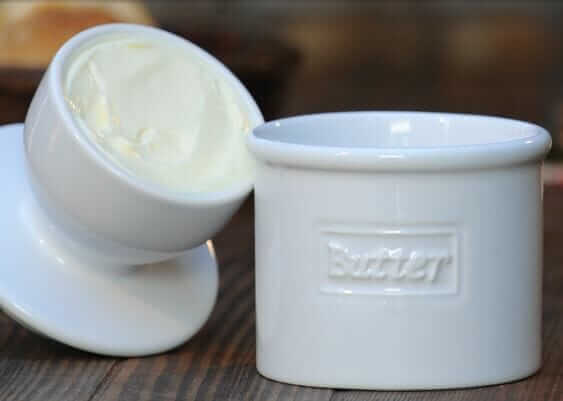 You can buy all varieties of butter bells and crocks on Amazon, or you can jump over to the “Official Butter Bell” site, where there are lots of choices. My mom had one of these butter bells which I gave to my daughter. She bakes fresh bread more than I do and she’ll use it. Mmmm…. fresh bread and butter.